With the promise of warmer days around the corner we put a lot of thought into summery yarns, flowing fabrics, and breathable stitch patterns for this summer issue. 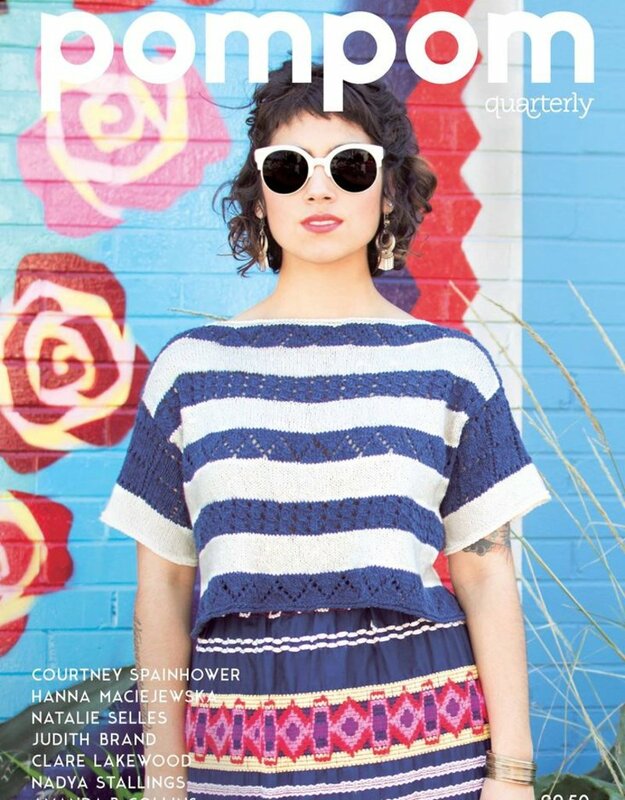 Featuring riots of bright colour and designs from the likes of Coutrney Spainhower and Hanna Maciejewska, this is summer knitting (and crocheting!) at its best. featuring designs by Courtney Spainhower – Hanna Maciejewska Natalie Selles – Judith Brand – Clare Lakewood Nadya Stallings – Amanda B. Collins Plus writing on summer knitting and the Golden Ratio, a recipe for Peach & Thyme Sangria, and a natural dyeing tutorial! lovely heavy paper – includes digital download – recipes, articles, tutorials + more! A Ravelry download code will come with your magazine.